Israeli police forces sealed slain Palestinian Fadi Qanbar’s home in the occupied Jerusalem neighborhood of Jabal al-Mukabbir on Wednesday morning with concrete, local sources affirmed. Since the early morning hours, Israeli forces stormed the area and erected a number of military checkpoints near the house before starting to pour concrete inside it. A reconnaissance plane was seen flying over the area, the sources added. During the raid, Israeli forces arrested Qanbar’s father and brother and took them to Maskoubia investigation center, west of Jerusalem. Five Palestinians had been living in the house, Qanbar’s wife and four children, the eldest of which is seven years old while the youngest is nine months old. 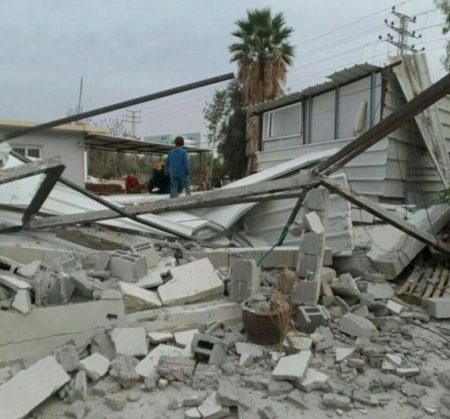 Israeli forces have repeatedly raided the home in recent weeks threatening to demolish it, most recently last week when cement mixers were brought in, though the forces later retreated from the area after apparently having difficulty accessing the home, according to witnesses. Qanbar was shot dead by Israeli forces in January after he allegedly drove a truck into a group of Israeli soldiers. 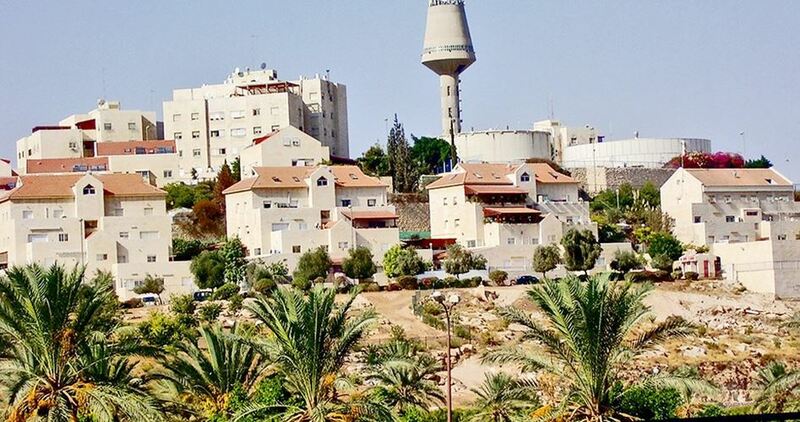 Haaretz Hebrew newspaper revealed that Israeli authorities decided to annex Maale Adumim settlement despite postponing vote on the settlement bill at the Knesset. Israeli bulldozers have already started, over the past few weeks, works to link between Maale Adumim settlement and occupied Jerusalem, the paper said. Postponing vote on annexing Maale Adumim at the Knesset was just a diplomatic attempt to avoid the international community's criticism, according to the sources. The paper quoted an Israeli pro-settlement association official as saying that a new junction has been established to facilitate movement between the settlement and occupied Jerusalem. A new tunnel has been also established to alleviate the overcrowding in the area and facilitate movement between the northern and southern neighborhoods of Jerusalem, the sources added. The paper pointed out that Israeli authorities seek to demolish the Palestinian Khan al-Ahmar village for the same purpose, recalling that dozens of demolition notifications were distributed in that village last month. The Israeli occupation forces (IOF) at daybreak Wednesday seized Palestinian vehicles east of Tubas city, in the northern West Bank. 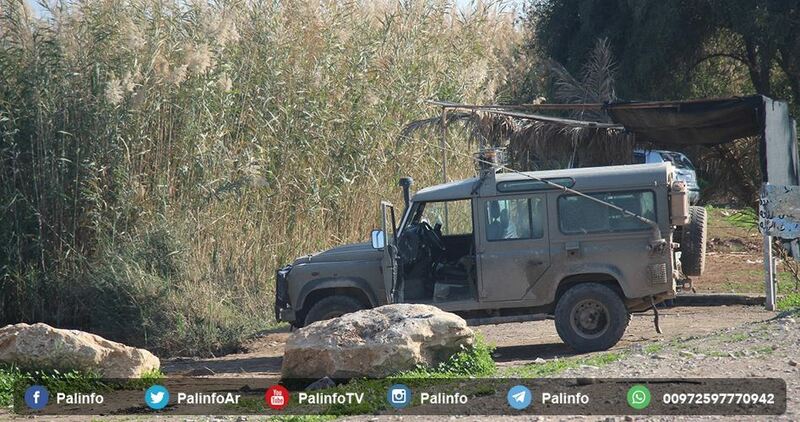 Speaking with a PIC reporter, Palestinian citizen Omar Na’naghiya, a resident of Bzeiq Hamlet, said the Israeli soldiers seized a car of the Mitsubishi brand and another vehicle owned by Palestinian citizen Hayel Turkman, along with an agricultural tractor belonging to citizen Namer Harroub. He added that residents of Bzeiq Hamlet have been subjected to simmering crackdowns and had their tractors often seized by the Israeli forces under the pretext that they are used to cultivate military lands and carry water tanks to Palestinians. According to Na’naghiya, the move makes part of Israeli attempts to force the Palestinians out of the area. Israeli soldiers invaded, earlier Tuesday, Yatta, Doura and ath-Thaheriyya towns, in the southern West Bank district of Hebron, searched many homes and abducted four Palestinians, including a teenage boy and his mother, and a legislator. The soldiers also confiscated a bulldozer and a truck. The soldiers invaded Yatta town, south of Hebron, searched homes and abducted Mokhles Ahmad Najjar, 16, and his mother Tamara Zein. 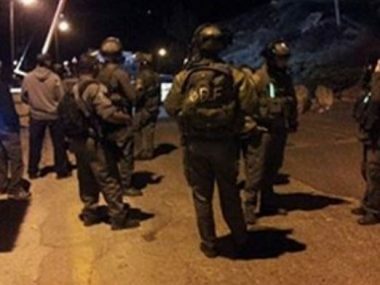 The soldiers also invaded homes in Doura town, south of Hebron, and abducted a young man, identified as Khader Edrees Nammoura. In addition, the soldiers broke into the home of legislator Mohammad at-Till, in the ath-Thaheriyya town, also south of Hebron, and abducted him, after searching his property and several nearby homes. Furthermore, the soldiers illegally confiscated a bulldozer and a truck, owned by Wael Ali Ekhlayyel, while he was conducting initial work on a new road, meant for linking Sho’ab al-Batm village with nearby communities in Yatta. 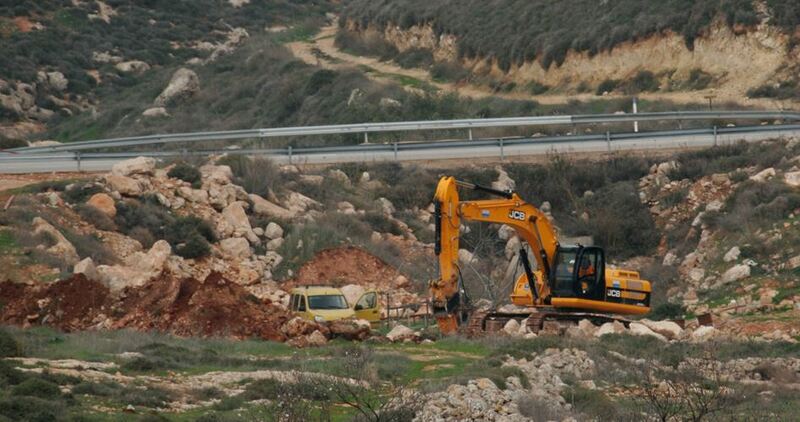 The Israeli Occupation Forces (IOF) delivered on Monday new notifications endorsing the confiscation of dozens of dunums of Palestinian lands in Jayyous and Falamiya towns, east of Qalqilia. The PIC reporter quoted the local resident Jihad Qaddoumi as saying that the issued notifications endorsed the confiscation of 169 dunums which were seized by the Israeli occupation authorities four years ago. The 169 confiscated dunums, located behind the Apartheid Wall, were fenced four years ago by an Israeli military order and all trees on those dunums were uprooted, Qaddoumi added. 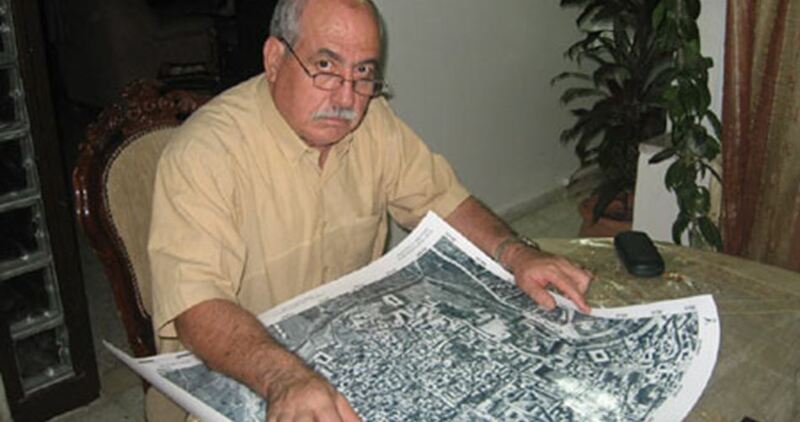 He pointed out that 6,000 dunums of the two towns' lands are completely isolated behind Israel’s Apartheid Wall. Jayyous municipality has warned Monday against Israeli land grab plans at the expense of Palestinian lands, adding that it will pursue all possible legal means to restore any usurped land lots in the town. Israeli bulldozers on Sunday morning continued to raze Palestinian land tracts across Salfit governorate in favor of illegal settlement expansion. Speaking to the PIC, local farmers said the Israeli bulldozers leveled Palestinian lands near illegal settlement outposts. Palestinian lands in and outside Leshem outpost, near Deir Balout, Kafr al-Deek, Rafat, and al-Zawiya, have also been bulldozed in the process. Researcher Khaled Maali said the move makes part of Israeli attempts to grab more Palestinian lands in the Israel-run Area C.
Maali further warned of the swift pace of Israel’s settlement activity in Salfit in an attempt to prop up geopolitical ties between 25 outposts built on Palestinian land in the area. He added that the move is expected to culminate in a settlement strip stretching from Zaatara checkpoint, east of Salfit, to Kafr Kasem, in 1948 Occupied Palestine (Green Line). A railway connecting Tel Aviv to the second largest West Bank outpost of Ariel is also expected to be set up in the process. According to Maali another repercussion of the plan lies in the confiscation of the largest water basin in historical Palestine. A group of Israeli settlers uprooted on Thursday dozens of grape vines in Khader town south of Bethlehem, local sources revealed. The local activist Ahmed Salah affirmed that 90 grape vines were uprooted and damaged in Khader town. The destroyed vines belonged to the farmer Nader Abdul Salam, he added. 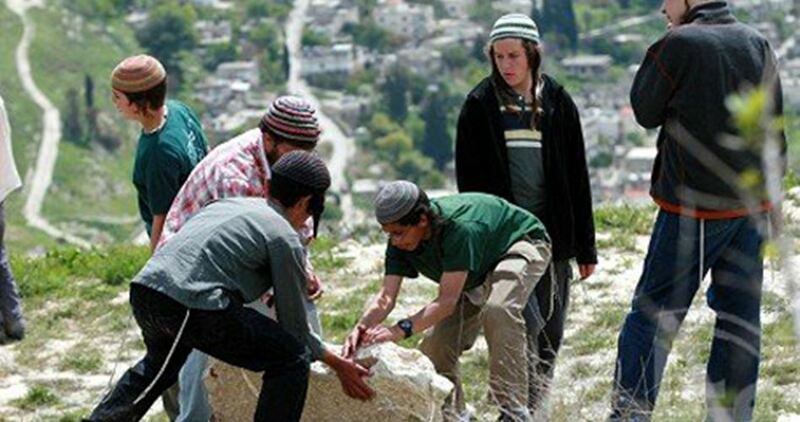 Palestinian residents of occupied West Bank are accustomed to various acts of violence from Israeli settlers, who regularly attack Palestinian agricultural fields under the protection of Israeli soldiers. 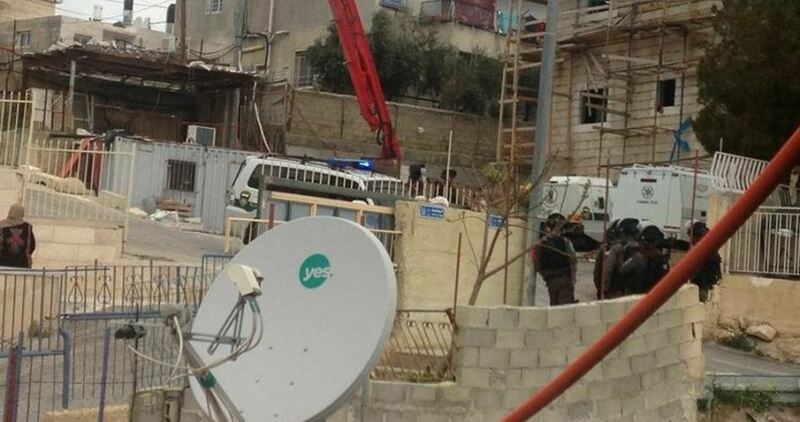 The Israeli occupation forces (IOF) confiscated a caravan in Furush Beit Dajan village to the east of Nablus city on Tuesday. 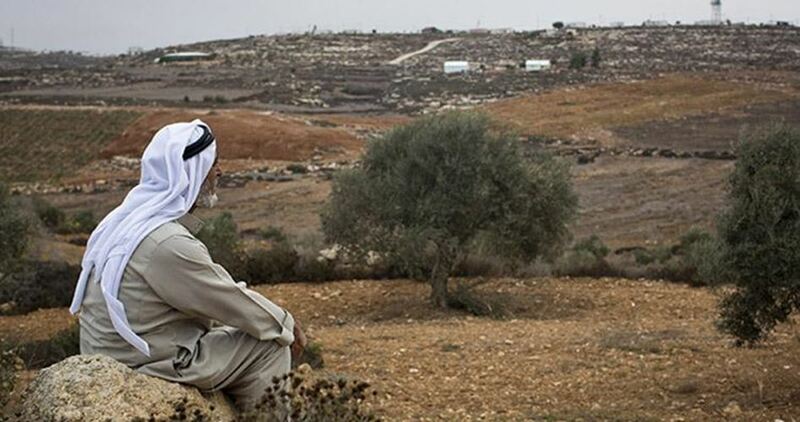 The head of the village council of Furush Beit Dajan, Azem Haj Mohammed, said that an Israeli army force suddenly raided the village and confiscated the caravan which is inhabited by a Palestinian family of ten members leaving them out in the open. 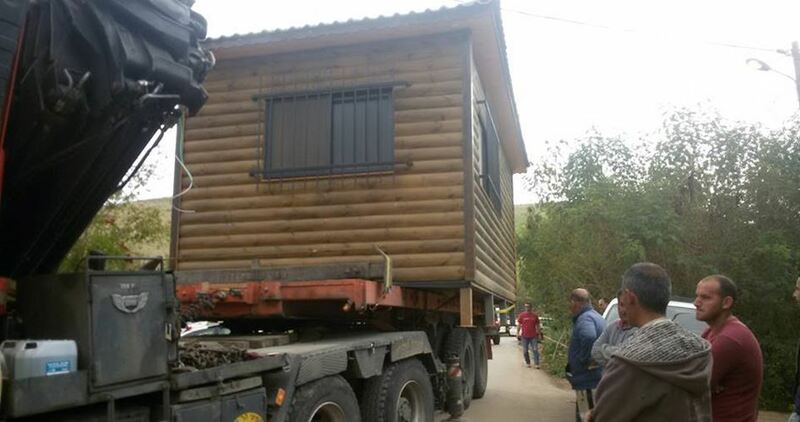 He added that the IOF soldiers evicted the residents from the caravan, which is owned by Tawfiq Haj Mohammed, before seizing it and loading it on a truck. He pointed out that the Israeli soldiers also confiscated a vegetable stall that belongs to Fuad Hamed after throwing its contents in a waste container. Haj Mohammed underlined that the confiscation of the caravan and the vegetable stall was without prior warning, describing what the IOF soldiers have done as an "unjustified aggression". Israel prevents the construction of any new buildings or facilities in Furush Beit Dajan under the pretext that it is located in Area C which is completely controlled by Israel in accordance with the Oslo Agreement. Israeli forces stormed Tuesday morning the office of Khalil Tufkaji, Director of Cartographic Section of the Arab Studies Society, in Beit Hanina town, north of occupied Jerusalem, and ordered its closure. The decision to shut down the office was issued by the Israeli Minister of Public Security Gilad Erdan. According to a statement issued by the Israeli police, the office threatens Israel’s settlement ambitions as it was dedicated to the research of land in the Palestinian territories including settlement monitoring, soil surveys, land confiscation. It further threatens "Israel's sovereignty over Jerusalem", according to the statement. The Arab Studies Society was established in 1980, registered in Israel as a public institute and was located in the historic Orient House building. Like any think tank, the society organized lectures and conferences and housed a big public library. Eyewitnesses said that the Israeli forces arrested Tufakji and confiscated all computers in the Society along with numerous files. 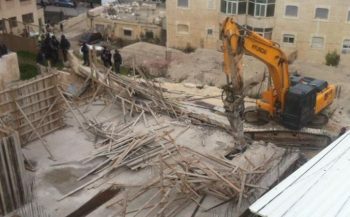 Israeli soldiers invaded, on Tuesday morning, the town of al-‘Eesawiyya, in occupied East Jerusalem, and demolished an under-construction building, allegedly for being built without a permit. The soldiers, accompanied by the police and undercover forces, gathered at the main entrance of the town, before invading several neighborhoods. The soldiers then surrounded a two-story under-construction building, owned by Majdi Mustafa, and demolished it. Mohammad Abu al-Hummus, a member of the Follow-Up Committee in al-‘Eesawiyya, said the exterior walls and ceiling of the first floor were complete, while the family was still working on constructing the second floor. Israeli Prime Minister Benjamin Netanyahu has ordered the acceleration of Arab home demolitions in Israel, an Israeli rights group revealed, earlier this week.